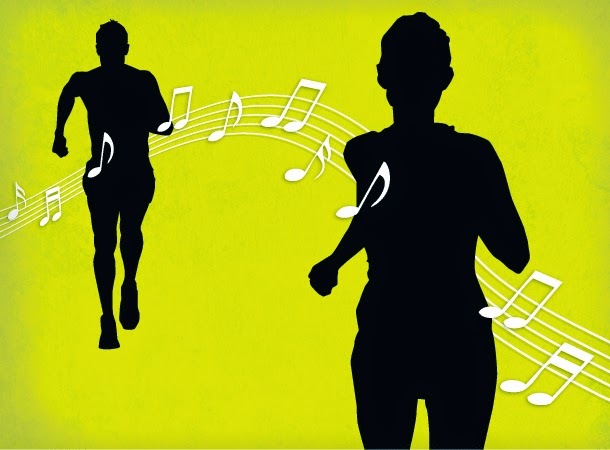 The Running Mormon: Running to a Playlist or Pandora? I used to have a set playlist for Every. Single. Run. I would take about 10 minutes before I'd head out the door to select the songs I wanted to hear for that specific run and arrange them in the exact order I wanted to hear them. That is, until I discovered Pandora. Now, I just pick a station I'm in the mood for, or one that my workout demands (think interval training or tempo run , something with a fast beat). Pandora seems to know just what I want to hear. With this month being October, I've been running to their Halloween stations. It makes my workouts seem more festive with the season. However, for races I need the structure and guaranteed beats-per-minute a planned-out playlist provides. The songs that now grace the "run fast and faster" portion of my race playlist are listed below. These songs helped carry me to three personal records this year in the 5K, 10K, and half-marathon. No kidding, for my half marathon, I just played this list (with a few slower songs to plan for breaks) on repeat. At times I feel like adding some more spiritual songs to the playlist above. Usually these are days when I'm feeling angry or lethargic and I need a spiritual pick-me-up. I like to use the hymns that are put to pop or rock music as they are still uplifting and also have the beats per minute I need. For my seasonal racing, specifically the Halloween and Christmas themed races I'll be competing in, I will be adding some holiday-appropriate songs to keep me in a festive mood. If you are just as holiday-crazed as myself, here are those very songs that will be gracing my Halloween playlist. I'll post my Christmas songs around the time I let myself start listening to Christmas music...the day after Thanksgiving. If any of you have Thanksgiving, New Years, Valentine's Day, or Easter playlists that would work for a good run, I'd love to see them!